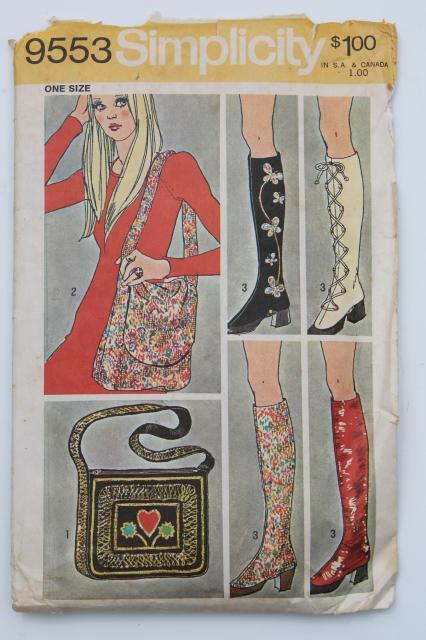 Simplicity 9553, 70s vintage hippie chick accessories to sew! 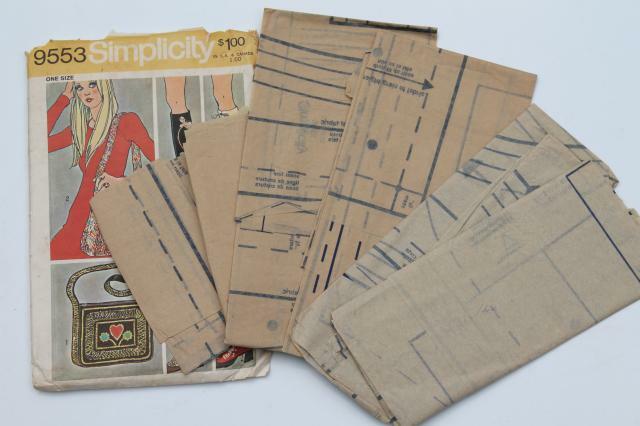 Some views have been cut and used, but the patterns seem complete with pattern pieces in very good condition. 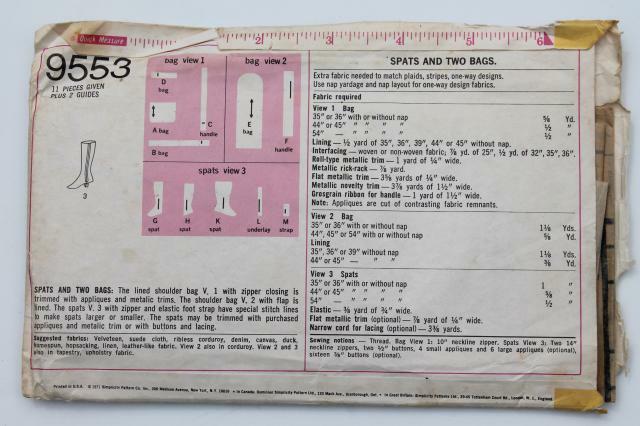 No instruction sheet.